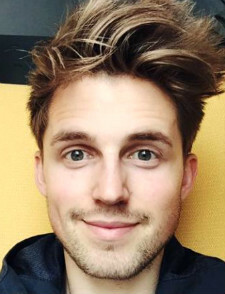 Marcus Butler was born in Shoreham-by-Sea, UK (December 18, 1991) who is a YouTuber, author and rapper. Butler has two sisters, Heidi and Natasha Butler. He has two YouTube channel. His first channel, MarcusButlerTV has over 4.6 million subscribers and second channel, MoreMarcus has over 2 million subscribers on YouTube. As of January 1, 2017, his channels reached 650 million views. How tall is Marcus Butler? Marcus’s height is 6′ 1″ (185cm). Butler wrote a part autobiography and part self-help book. Marcus has published his first book titled “Hello Life!” on 28 July 2015 in the United Kingdom. The book was published on 10 November 2015 in the United States. Butler and Conor Maynard released a single entitled “I’m Famous” on 22 January 2016. One week later, the song entered the UK Singles Chart at number 85. How much money did Marcus Butler earn through his career? How much money does Marcus Butler have? Butler has earned 1.6 million dollars during his YouTube and music career. Who with did Marcus Butler collaborate? Marcus Butler has collaborated with various YouTubers such as Caspar Lee, Jim Chapman, Zoella, Lilly Singh, Troye Sivan, Joe Sugg, and Alfie Deyes.